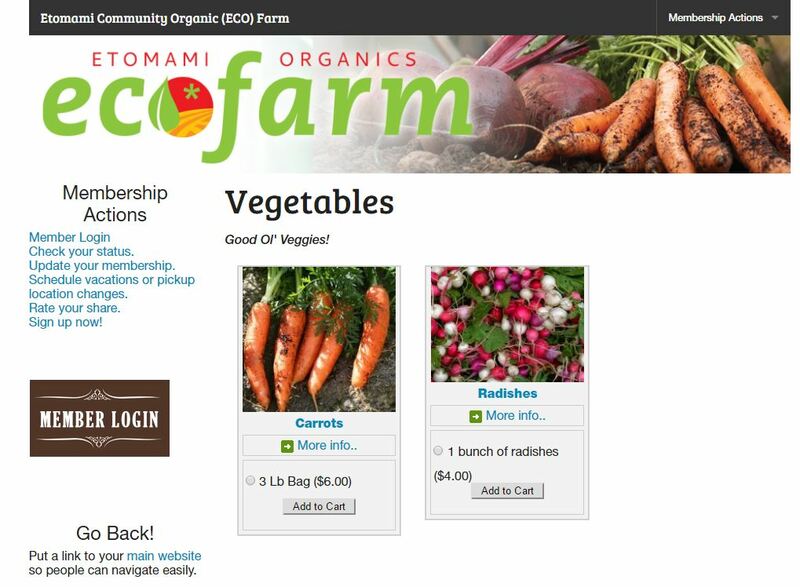 We need information in order to decide the future of the ECO Farm CSA. New members AND non-members can complete this survey. It will take you 2-5 minutes to complete, depending on how much you have to say. * 1. What city do you live in? * 2. As of now, do you plan on renewing your membership in May 2016? N/A I am not a member this year. * 3. If your answer is NO or Undecided, what would the reason be for your answer? It would look something like this example each month (but with more items, and you would be able to increase the quantity), where Keith would set prices based on availability and demand and your purchase would be done online and be taken off your CREDIT that you have pre-purchased at the beginning of the year. Then, Keith would package up your order and have it ready for you at each pick-up. Pick-up frequencies would likely remain the same. Please note: Members would most-likely only be allowed to carry-over a percentage of their share to the next year if they did not use their items during the purchased year. I MIGHT be interested in this... but would need to see more details. No, I prefer just showing up and getting a bunch of different veggies.